A mega yacht is another name for a privately owned yacht that measures over 24 metres long and carries a professional crew. This is the same definition for a superyacht, and the average price of a second-hand mega yacht for sale is €7.9 million, according to superyacht sales data from 2014. There are currently more than 10,000 mega yachts in the world, with around 150 new yachts delivered each year. 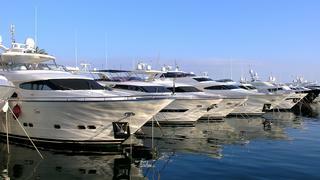 Motor yachts are the most popular by far, with sailing yachts counting for less than 20% of all mega yachts in existence. How big are mega yachts? 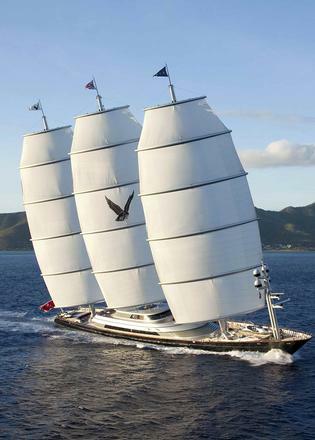 Mega yachts are most commonly 35 – 40 metres long. However they can be as big as cruise ships: Azzam, the biggest mega yacht in the world is 180 metres long – bigger than cruise ship Costa Voyager. One of the oldest mega yachts in the world is Olympus, a 28.35 metre classic yacht that was commissioned by Wall Street investor George Callendine Heck to transport him from his Long Island estate to Wall Street. Olympus is the oldest mega yacht currently for sale, and she has a colourful history: she was once conscripted by the U.S Navy; bought by the state of Washington, when she was refitted and named Olympus and became part of a political scandal; and has been used by a number of notable people including Harry Truman, Al Pacino and Robin Williams. How popular are mega yachts? There are over 700 mega yachts for sale on our website. What’s interesting is that there is an even spread across all sizes but there are far more motor yachts for sale, with sailing yachts for sale making up just 12% of the mix. There are 734 new mega yachts in construction or on order in 2015; the average size of these yachts is 41 metres. 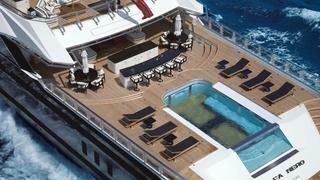 The most expensive superyacht for sale is Solandge. With an asking price of €169,000,000, Solandge is currently for sale with Moran Yacht & Ship. Can I rent a mega yacht? Renting a mega yacht – more commonly known as chartering a mega yacht – is a popular luxury vacation preferred by the wealthiest of travellers. There are currently over 300 mega yachts for charter on our website, ranging from a compact 20 metres up to 90 metres long. The most iconic is mega yacht A, owned by Russian billionaire Andrey Melnichenko, who likes to take her to St Barths at New Year. Shahid Khan, owner of NFL’s Jackson Jaguars and UK football team Fulham Football Club, is also mega yacht fan: Khan’s 95m mega yacht Kismetwon an award at the 2015 World Superyacht Awards. 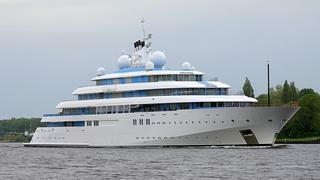 Another notable mega yacht fan is Microsoft’s Paul Allen, who owns 126.19m mega yacht Octopus.